You must be over 18 to register for an account! 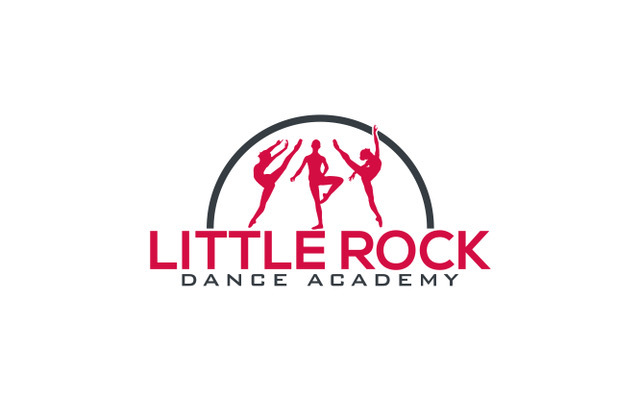 LITTLE ROCK DANCE ACADMEY LLC. ACCIDENT WAIVER AND RELEASE OF LIABILITY FORM I HEREBY ASSUME ALL OF THE RISKS OF PARTICIPATING IN ANY/ALL ACTIVITIES ASSOCIATED WITH ATTENDING ANY AND ALL LITTLE ROCK DANCE ACADEMY. EVENTS, including by way of example and not limitation, any risks that may arise from negligence or carelessness on the part of LITTLE ROCK DANCE ACADEMY. and/or their directors, officers, employees, volunteers, representatives, agents, the activity holders, sponsors, and volunteers. And from dangerous or defective equipment or property owned, maintained, or controlled by LITTLE ROCK DANCE ACADEMY. and/or their directors, officers, employees, volunteers, representatives, agents, the activity holders, sponsors, and volunteers, or because of their possible liability without fault. I certify that I am physically fit, have sufficiently prepared or trained for participation in this activity, and have not been advised to not participate by a qualified medical professional. I certify that there are no health-related reasons or problems which preclude my participation in this activity. I acknowledge that this Accident Waiver and Release of Liability Form will be used by LITTLE ROCK DANCE ACADEMY., sponsors, and organizers of the activity in which I may participate, and that it will govern my actions and responsibilities at said activity. In consideration of my application and permitting me to participate in this activity, I hereby take action for myself, my executors, administrators, heirs, next of kin, successors, and assigns as follows: (A) I WAIVE, RELEASE, AND DISCHARGE from any and all liability, including but not limited to, liability arising from the negligence or fault of the entities or persons released, for my death, disability, personal injury, property damage, property theft, or actions of any kind which may hereafter occur to me including my traveling to and from this activity, THE FOLLOWING ENTITIES OR PERSONS: RAW MOTION DANCE INC. and/or their directors, officers, employees, volunteers, representatives, and agents, and the activity holders, sponsors, and volunteers; (B) INDEMNIFY, HOLD HARMLESS, AND PROMISE NOT TO SUE the entities or persons mentioned in this paragraph from any and all liabilities or claims made as a result of participation in this activity, whether caused by the negligence of release or otherwise. I acknowledge that LITTLE ROCK DANCE ACADEMY. and their directors, officers, volunteers, representatives, and agents are NOT responsible for the errors, omissions, acts, or failures to act of any party or entity conducting a specific activity on their behalf. I acknowledge that this activity may involve a test of a person's physical and mental limits and carries with it the potential for death, serious injury, and property loss. The risks include, but are not limited to, those caused by terrain, facilities, temperature, weather, condition of participants, equipment, vehicular traffic, lack of hydration, and actions of other people including, but not limited to, participants, volunteers, monitors, and/or producers of the activity. These risks are not only inherent to participants, but are also present for volunteers. I hereby consent to receive medical treatment which may be deemed advisable in the event of injury, accident, and/or illness during this activity. I understand while participating in this activity, I may be photographed. I agree to allow my photo, video, or film likeness to be used for any legitimate purpose by the activity holders, producers, sponsors, organizers, and assigns. The Accident Waiver and Release of Liability Form shall be construed broadly to provide a release and waiver to the maximum extent permissible under applicable law. I CERTIFY THAT I HAVE READ THIS DOCUMENT AND I FULLY UNDERSTAND ITS CONTENT. I AM AWARE THAT THIS IS A RELEASE OF LIABILITY AND A CONTRACT AND I SIGN IT OF MY OWN FREE WILL.